SOLIO is a Powerful, Modern and Creative HTML Template for Music and eCommerce Shop. The design is suitable for Music Brand Shop, Music Accessories Shop, Electronics Online Shop, Computer Accessories Shop, Single Product Ecommerce Shop or any kind of Electrical and Electronics online Showcase sites. Keep every single detail is simple and efficient for your readers and your important content catches eyes of site visitors. 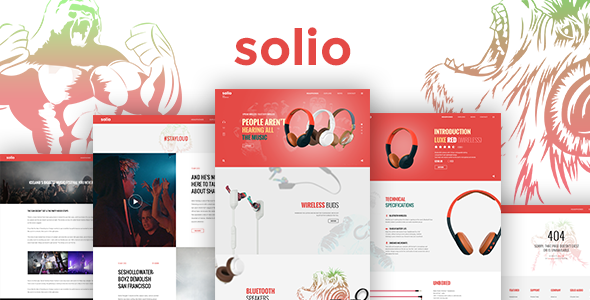 Technically SOLIO is Responsive Bootstrap 3 Music Brand and eCommerce Template built with Bootstrap v3.3.7, HTML5, and CSS3. Well Organized and valid Code. Note: Images are only for demo purpose and not included into Download Package.